All content included in our website, such as text, graphics, logos, button icons, images, and software, is the property of Sovereign Funerals or its content suppliers and protected by Australian And international copyright laws. 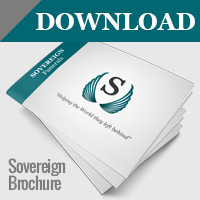 Permission is granted to electronically copy and print hard copy portions of sovereignfunerals.com.au for the sole purpose of placing an order with Sovereign Funerals website or using the website as a shopping resource. Any other use, including the reproduction, modification, distribution, transmission, republication, display or performance, of the content of sovereignfunerals.com.au or its respective content suppliers is strictly prohibited. All trademarks, logos, service marks and trade names that appear on this website are the trademarks of Sovereign Funerals’ website and other respective owners. The information, services, products offered for sale and materials contained in and/or advertised on sovereignfunerals.com.au, including, without limitation, text, graphics and links, are provided on an “as is” basis with no warranty. To the maximum extent permitted by law, Sovereign Funerals’ website and its suppliers disclaim all representations and warranties, express or implied, with respect to such information, services, products and materials, including, but not limited to, warranties of merchantability or fitness for a particular purpose, title, non-infringement, freedom from computer virus and implied warranties arising from course of dealing or course of performance. In addition, Sovereign Funerals’ website and its suppliers do not represent or warrant that the information accessible via sovereignfunerals.com.au is accurate, complete or current. We are not responsible for typographical errors. Price and availability information is subject to change without notice. All reviews, comments and other submissions provided to Sovereign Funerals’ website on or about this site, or otherwise submitted in connection with your use of the website, shall be and remain Sovereign Funerals’ website’s property. Such disclosure, submission or offer of any comments shall be deemed an assignment to Sovereign Funerals’ website of all worldwide rights in all intellectual properties relating to the comments. You agree that no comments submitted by you to Sovereign Funerals’ website will violate any right of any third party, including copyrights, trademark, privacy or other personal or proprietary right(s). You further agree that no comments submitted by you to the site will be or contain libelous or otherwise unlawful, abusive or obscene material. You are and shall remain solely responsible for the content of any comments you make.